It’s been ages since I’ve done one of these, but I’m hoping to resurrect my “This Week’s Books” posts again. Here’s a peek at the books I’ve been reading and plan to read in the next few weeks. As you can see, right now, I’m focusing on Dostoevsky. I’ve finished Crime and Punishment, but it’s on the list because I’m re-reading parts and comparing my Richard Pevear and Larissa Volokhonky translation with the Constant Garnett translation that appears in the books I’m reading on Dostoevsky. 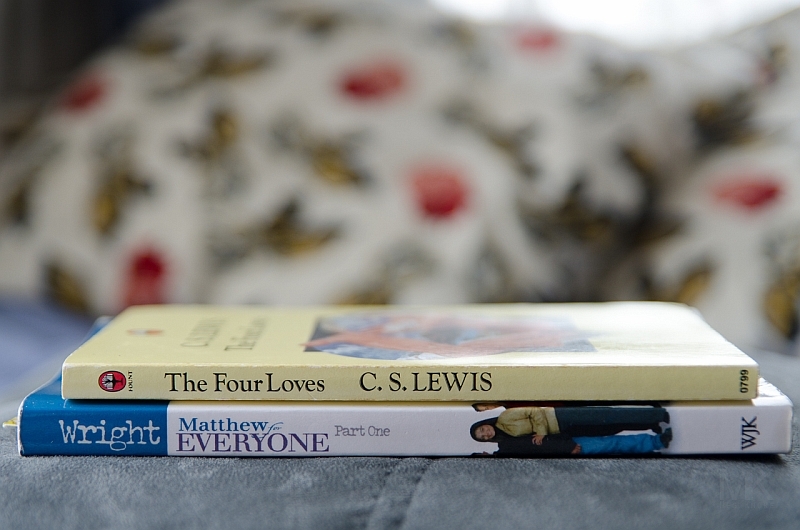 Speaking of lists, I’m ashamed to say, N. T. Wright’s Matthew for Everyone–Part One is still on the list. It’s been on every “This Week’s Books” post so far. 😦 Obviously, I haven’t made it a priority. I’m determined to have moved on to Part Two, by my next “This Week’s” post. I’m looking forward to tucking into C. S. Lewis’ The Four Love’s and J. D. Salinger’s The Catcher in the Rye. They’re books I’ve been wanting to read for a long time. 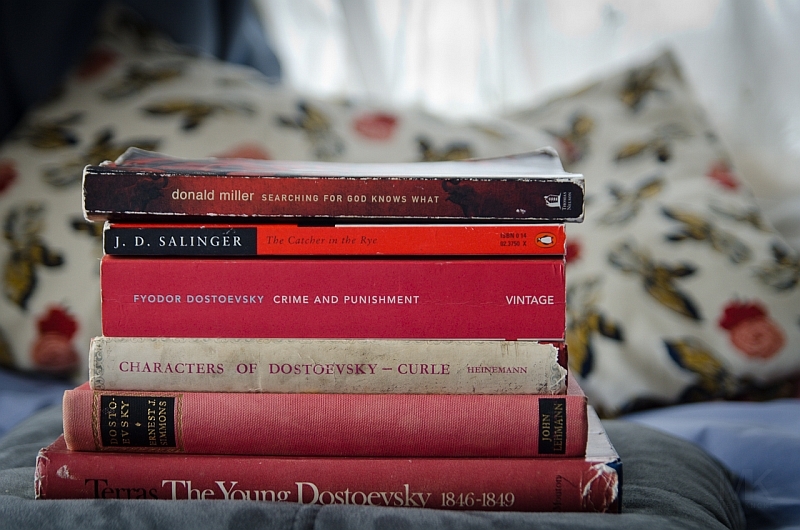 It was actually a toss up between Salinger’s The Catcher in the Rye and John Green’s Looking for Alaska. I settled on The Catcher in the Rye, but I plan on devouring the rest of John Green’s novels (except for Will Grayson, Will Grayson, which I don’t have) as soon as I’m finished.